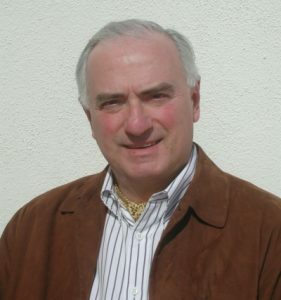 Giorgio Buccellati is Research Professor in the Cotsen Institute of Archaeology at UCLA, and Professor Emeritus in the Department of Near Eastern Languages and Cultures and in the Department of History at UCLA. He founded the Institute of Archaeology at UCLA, of which he served as first director from 1973 until 1983 and where he is now Director of the Mesopotamian Lab. He is currently Director of IIMAS, the International Institute for Mesopotamian Area Studies. Together with Prof. Roberto Radice, he directs the research project “Dimensioni filosofiche dell’ermeneutica dell’archeologia” within the Department of Philosophy of the Catholic University of Milan. His research interests include the ancient languages, the literature, the religion, the archaeology and the history of Mesopotamia, as well as the theory of archaeology. His publications include site reports, text editions, linguistic and literary studies, historical monographs and essays on philosophy and spirituality. He has published a structural grammar of ancient Babylonian, and is working on a detailed, computer-aided system for excavation recording. He is also constructing a major website on the Urkesh excavations. As a Guggenheim Fellow, he has travelled to Syria to study modern ethnography and geography for a better understanding of the history of the ancient Amorites. In his field work, he has developed new approaches to the preservation and presentation of archaeological sites. With his wife Marilyn Kelly-Buccellati, he has worked for many years in the Near East, especially in Syria, Iraq and Turkey. They are at present co-directors of the archaeological expedition to Tell Mozan/Urkesh in North-Eastern Syria. They work closely together both in the field and on the publication reports from their excavations, of which five volumes, plus audio-visual presentations, have appeared so far. They lead an international staff comprising colleagues and students from the US, Europe, the Near East and Asia. They have given joint lectures on the excavations, and workshops on methods used, at major archaeological centers around the world. They have served as visiting professors in various European universities.